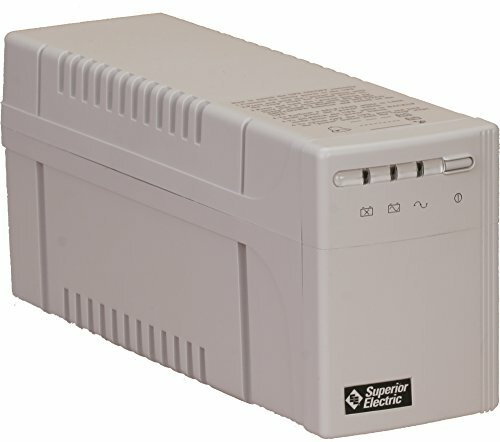 STABILINE uninterruptible power supplies, skn Series, are line-interactive, Simulated sine WAVE Output units for protection of your data and hardware. They are intelligent protection devices that provide Pure, reliable AC power to critical loads - protecting them from utility power blackout, swells, sags, surges and interference. When utility input is present, the Sky will provide surge protection, voltage regulation and energy to charge the internal battery. If the utility input is abnormal or in the event of a power failure, the Sky will supply AC power to the loads immediately and without any interruption. Typical loads include sensitive instruments, computers, telecommunication systems and industrial automation equipment. Under normal power conditions, the Sky design adjusts and filters power fluctuations continuously and automatically. With the Sky connected to utility power, the ups's internal charger will work automatically even when the Sky power switch is in the off position. In order to save battery backup capacity for when it's needed, the green mode feature can be utilized to turn the UPS off under backup mode If none of the connected loads are operating. The Sky Series unit offers visual and audible indication of the battery status and condition. A self-test function can detect a weak battery. The self-test is performed at the time the unit is powered and may be manually tested via the front panel on/off Test switch. Front panel LEDs offer visual indication. The Sky unit comes equipped with an RS-232 port and Upson power management software. The Upson software will provide an orderly shutdown and perform power functions. It will display all diagnostics on the user supplied monitor, track power events and schedule system shutdown/reboot. If you have any questions about this product by STABILINE, contact us by completing and submitting the form below. If you are looking for a specif part number, please include it with your message.